Your wedding invitation is the first glimpse your guests get of your wedding. It should reflect your wedding style, taste, and clue your guests into what kind of affair you are hosting. 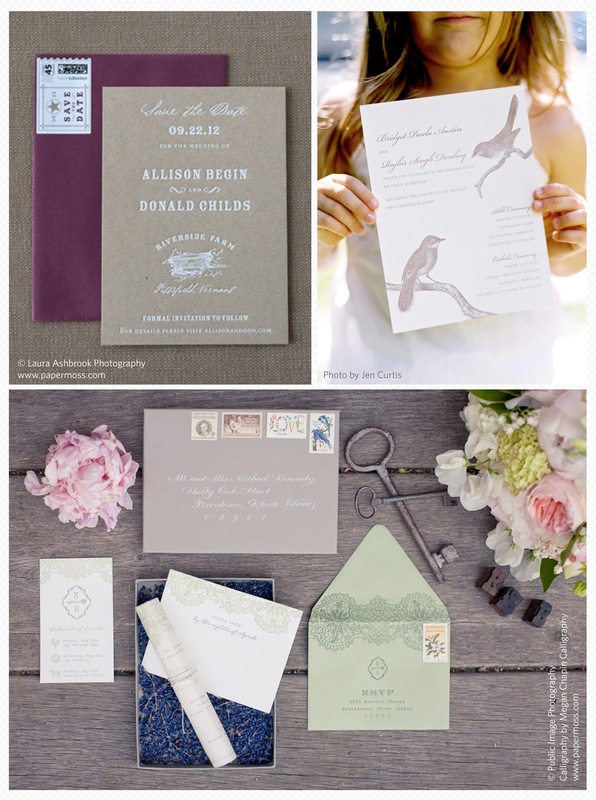 Paper, color, wording—carefully selecting your invitations will create a lasting impression with your guests. 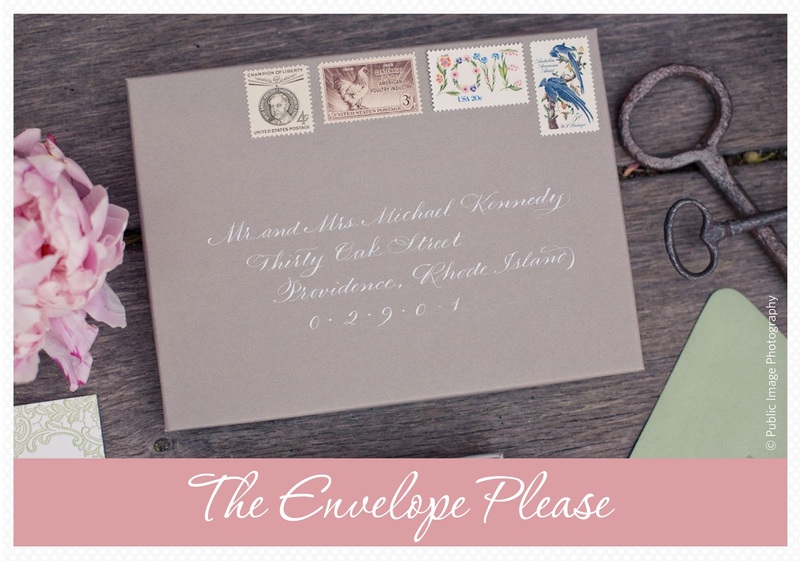 Plan to mail your invitations 8 weeks prior to your wedding date (6 weeks if you mailed save-the-dates). This will allow your guests adequate time to respond. Your RSVP date should be set around when your venue or caterer needs a final guest count, usually about 2 or 3 weeks before the event. When addressing to a married couple, it could be written to Mr. and Mrs. Johnson or Mr. and Mrs. Richard Johnson. The inner envelope, if one, could read Richard and Joan Johnson, or simply, Richard and Joan. For a couple living together, but not married, you will want to address each of their names on a separate line alphabetically by last name. For a couple in which one is a doctor and the other is not, the doctor should be listed first, followed by their spouse’s name, for example: Doctor Maria Vazquez and Mr. Juan Vazquez. 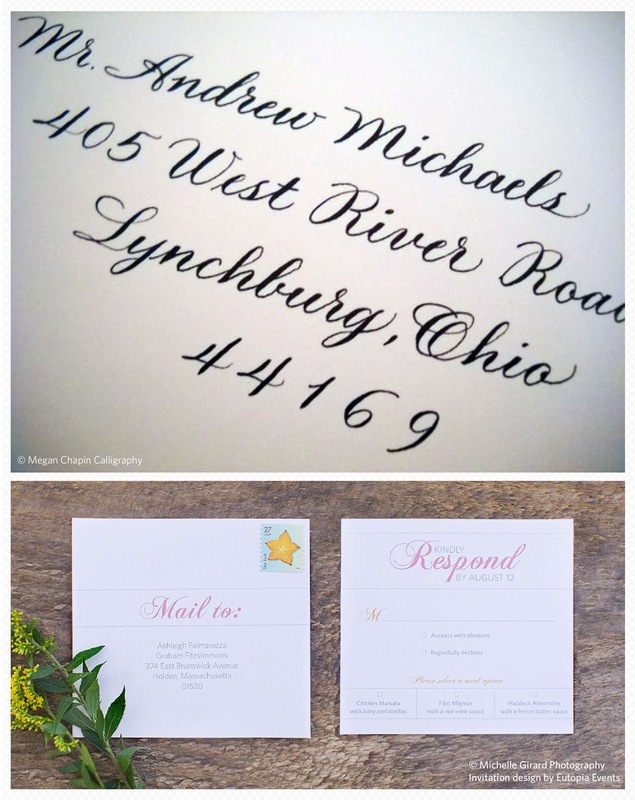 Invitations should always be hand-addressed, either by the couple, a friend or family member with nice handwriting, or by a calligrapher. Following this rule of thumb demonstrates to your guests that great care has been taken to personally invite them to your wedding. You should never use printed labels. When addressing invitations, spell out all of the words in an address. “St.” should be spelled out to “Street” or P.O. Box should appear as Post Office Box. This also applies to the state name. House or apartment numbers smaller than 20 should be spelled out as well. Your return address should also be completely spelled out. However, you could have a stamp made, or have the return address printed directly on the outer envelope. The same applies to the RSVP envelope. You should never use labels. Before you physically adhere stamps to your invitations, bring one complete set to the post office and have it measured and weighed. This will ensure you put adequate postage on your invitations, and that they will make it to their destination and not be returned. You should also include postage for the RSVP card. There are many resources available offering advice and etiquette guidance online, or ask your invitation designer, calligrapher, or wedding planner for assistance. Learning these details prior to sending your invitations will help with a smoother and less daunting of an experience. If you are planning, or would like to plan a gorgeous Vermont Wedding, contact Liz Cotter at 802.282.9880 or email us at info.riversidefarm@gmail.com. We have multiple ceremony and reception sites available for 2013.